From the outset of Qatar’s economic transformation, Qatar’s leadership sought to combine rapid development with environmental sustainability. As Chair of Qatar Foundation for Education, Science and Community Development, Sheikha Moza oversees several ambitious construction and development projects in Qatar that are built to the most stringent environmental standards. For example, the Qatar National Convention Centre, opened in 2011, incorporates the latest in water conservation and energy efficiency technologies. In addition, solar panels on the roof provide some of the building’s electricity. It is the only facility of its kind that meets the gold certification standards of the US Green Building Council. The massive Msheireb revitalisation project in downtown Doha encompasses 75 acres and the construction of more than 100 buildings that include housing, office buildings, museums and civic spaces. The architecture reflects the richness of Qatari culture while incorporating the most modern and environmentally friendly design concepts. 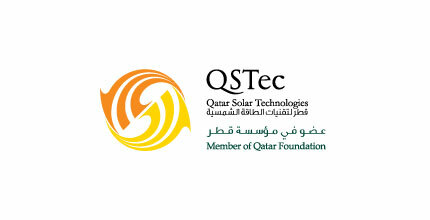 In partnership with a solar energy company, Qatar Foundation established Qatar Solar Technologies (QSTec), which is becoming a world leading integrated solar energy company. In addition, Qatar Foundation established the Qatar Environment and Energy Research Institute to find new ways to protect Qatar’s desert and marine ecologies while meeting the nation’s growing energy demand in a sustainable manner. Finally, QF’s award-winning Male and Female Student Housing, located within the Qatar Foundation campus in Doha, is currently the only platinum LEED certified student housing complex in the world, and the largest collection of platinum LEED certified buildings in one area in the world. The development comprises two individual male and female complexes with a permeating Islamic motif. State-of-the art sustainable technology and energy-efficient systems are used throughout the entire complex. To assist the students in tracking their green footprint, each housing unit contains a monitoring system that tracks an individual’s water and energy consumption. The distinguished complex is also equipped with a solar-panelled roof and wind turbines that generate energy at gusts of 10 kilometres or more and considered as clean power sources. © 2019 Office of Her Highness Sheikha Moza bint Nasser, State of Qatar.